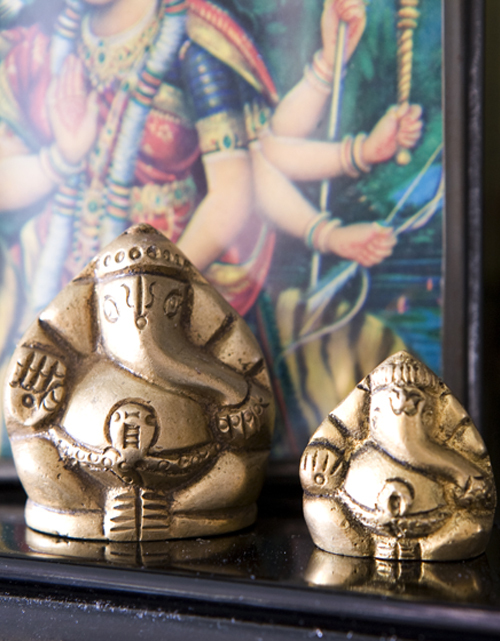 GOLDEN GANESH are super cute metal pieces I found at a stall at the famous Anjuna Flea Market in Goa, India. Goa is a funky hippie beach town and I was told this is the place to shop. 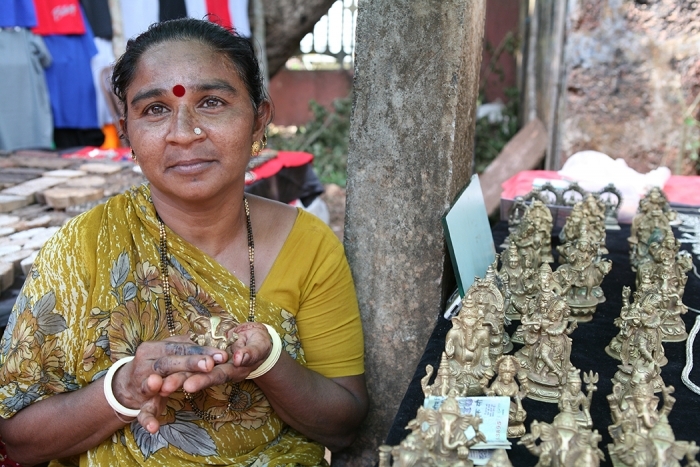 A sweet lady (pictured below) had a collection I had to bring home. 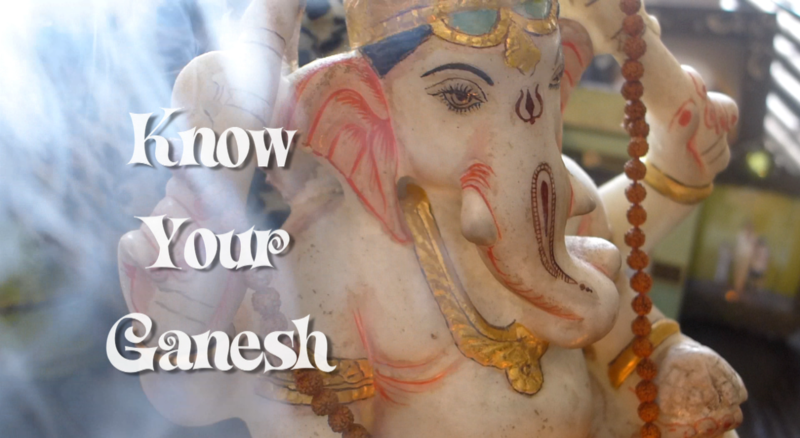 What I learned on my trips to India is that everyone has multiple Ganesh statues. 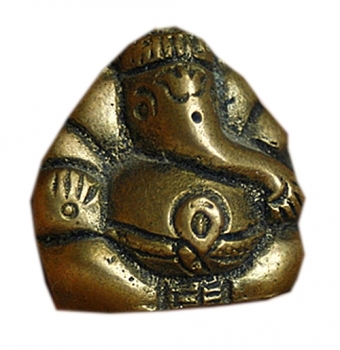 By the 16th c. Ganesh images were seen all over the country. 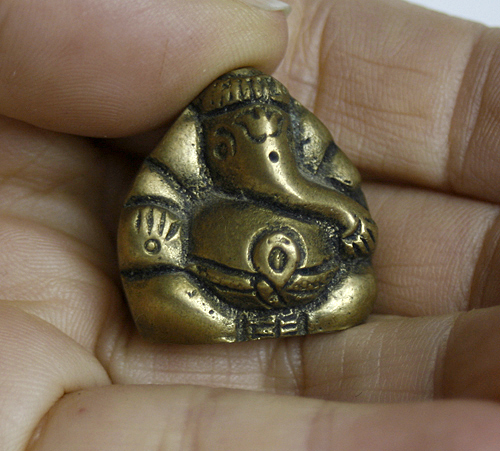 They are Hindu gods, but everyone has one as more of a cultural or magical symbol. Some are standing, dancing, lounging or fending off demons. Whichever style you choose, know he is a happy fellow who will remove obstacles to success and pave your way to prosperity. With Ganesh: visualize abundance.